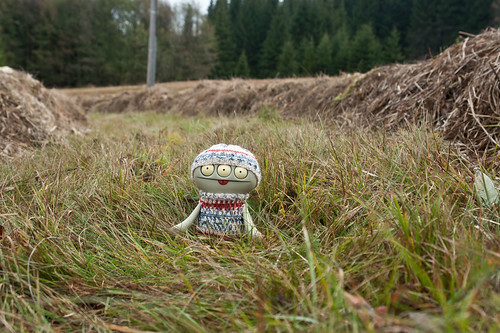 Uglyworld #2107 - Hikerings In Erzgebirge - (Project Cinko Time - Image 306-365), a photo by www.bazpics.com on Flickr. Anothers day, anothers hiker in Erzgebirge, todays I has ventureds through the fieldies rights up to the borders with the Czechs Republicer. Mireille has managereds to makers me a littlers bit more scareds today, as yesterdays evening whiles we were outs in Potucky, which lies overs the borderer into the Czechs Republicer, she tellereds me abouts an evils witcher callereds Baba Jaga. I keeps hearing noises in the forests arounders me today and lets me tellers you, they is scarerings the beejeesusers outs of me!! !